Kids learn about the park’s animals. Image courtesy of SeaWorld. Starting today, Florida residents can register for the 2019 Preschool Card from SeaWorld, which will offer kids ages 5 and younger unlimited admission to both SeaWorld and Aquatica Orlando, through December 31, 2019. Advance registration must be completed online and is only valid for children ages 5 or younger at the time of redemption at the park. Registration is required by January 27, 2019, and ticket redemption is by February 28, 2019. Learn more about this exciting opportunity here. Guests can go behind the scenes and visit areas never opened to the public during this new event. 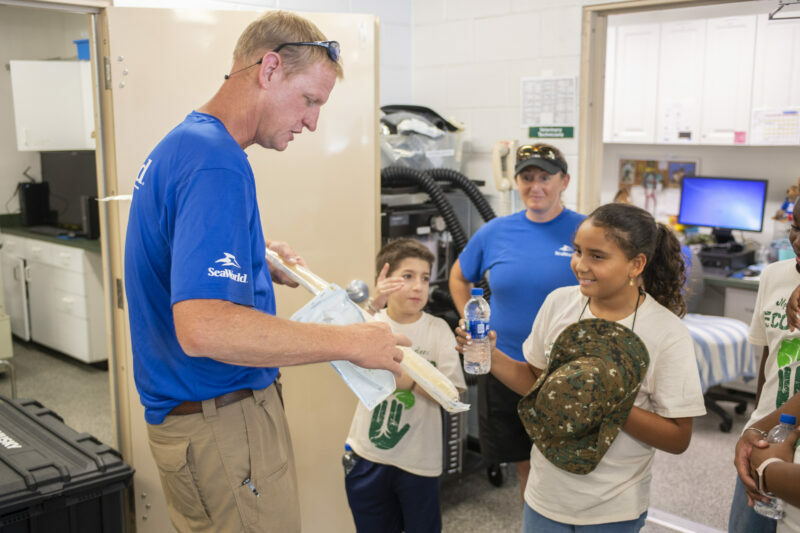 Visitors can meet the SeaWorld Rescue Team and learn more about the day-to-day care that is provided to the animals. Staff veterinarians and animal experts will also be available for questions and information. Elmo’s Birthday Celebration will feature an interactive DJ dance party, surprise visitors, and fun party games. This weekend-long party will kickoff the park’s brand new Sesame Street at SeaWorld, scheduled to open in the spring of 2019. 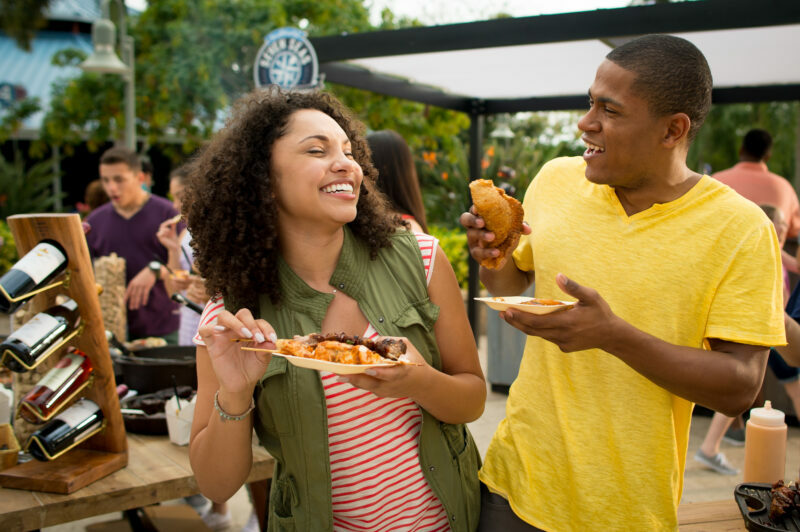 Returning to SeaWorld is the popular Seven Seas Food Festival, where guests can sample globally inspired flavors and enjoy local craft beers and beverages from around the world. Live performances at Bayside Stadium featuring top artists will also provide even more exciting entertainment. Guests have fun at the Seven Seas Food Festival. Image courtesy of SeaWorld. To purchase tickets and learn more, visit SeaWorld.com/Orlando. Next story Preorder Louden Swain’s “Here Come The Snakes”! Previous story Tom Welling and Michael Rosenbaum’s New Wine Available Now!